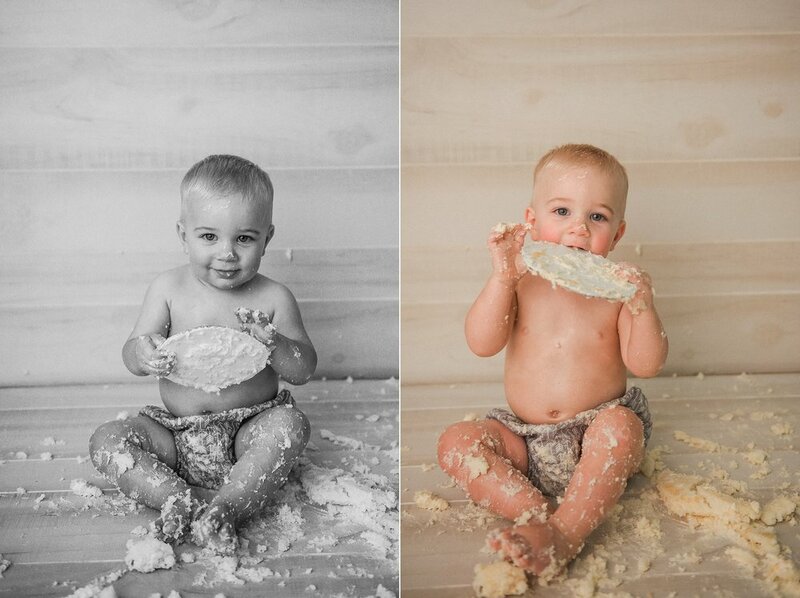 There's nothing like cake smash photos to celebrate your first birthday! This little guy really went for it. There was nothing left of that cake by the time. Just the cardboard base, that apparently was also really tasty. And check out those amazing blue eyes; I love grabbing a few portraits on the flokati before we begin smashing the cake. And if you're wondering how the heck I got a 1 year old to lay still for pictures, let's just say I have some tricks up my sleeve. If you'd like to book a cake smash session to celebrate your little one's first birthday, get in touch 4 to 8 weeks before the birthday for best availability. Studio cake smash sessions are available year round in downtown Indianapolis. Outdoor cake smashes are held seasonally. enter your email to get a coupon for $50 off a cake smash, plus full details and pricing about the session. NO OBLIGATION TO BOOK. Thank you! Ashlee will be in touch within 1 to 2 business days. 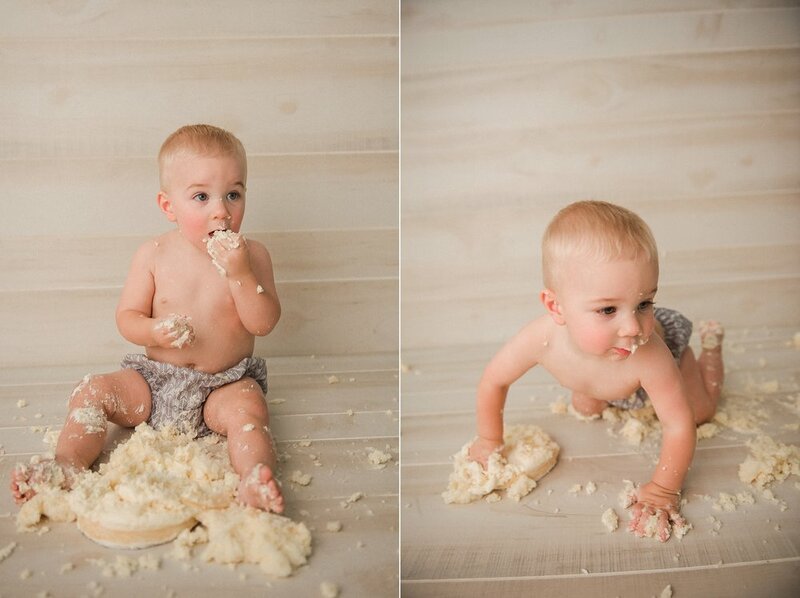 want to book your own indianapolis cake smash photoshoot?